The Code Zero longjohns and longjanes have been developed with the Skandia Team GBR windsurfers, 49ers and 470 sailors. 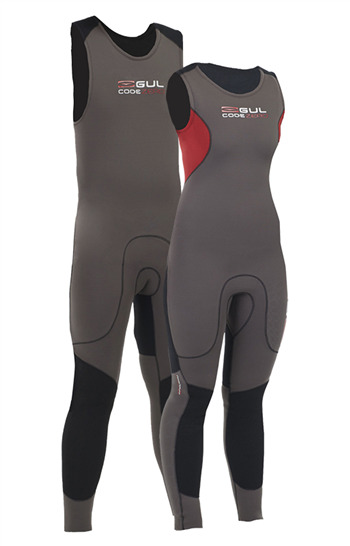 They offer a more attractive wetsuit alternative to the traditional long arm steamer, which tend to be very restrictive in the arms, back and neck. The Code Zero longjohns have no fastenings what so ever, which means there are no bulky, restrictive zip seams anywhere on the garment. The lack of fastenings also means that they really comfortable to wear with buoyancy aids or harnesses. They are designed to work on their own in particularly warm conditions or as part of a layering system with thermal rash vests, drytops etc. to suit the specific conditions faced.